Has a high quality finish that offers low pulsation output and smooth pump changeover deliver a consistent spray pattern. 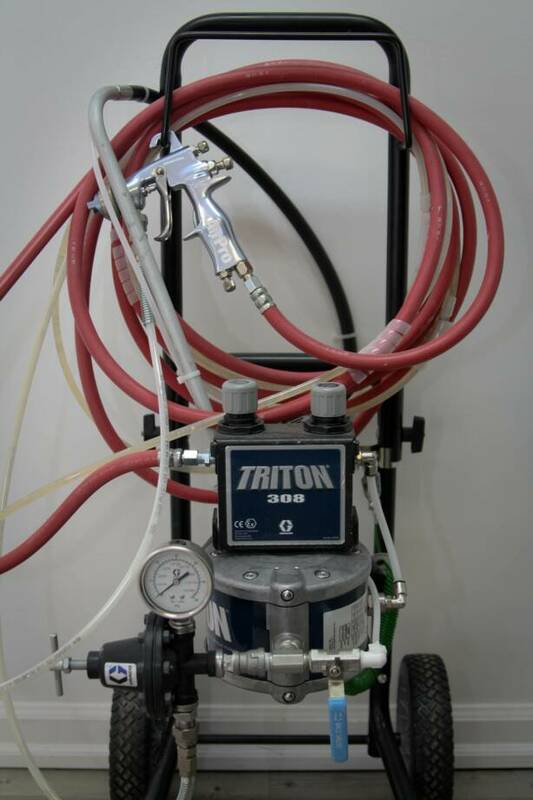 The Triton has quick color changes and fast material refills that saves money and time. It has a stainless steel or aluminum pump handles a wide variety of fluids. Available in Stand Mount, Cart Mount, Pail Mount, and Wall Mount. Quality pumps enhance any finishing system. 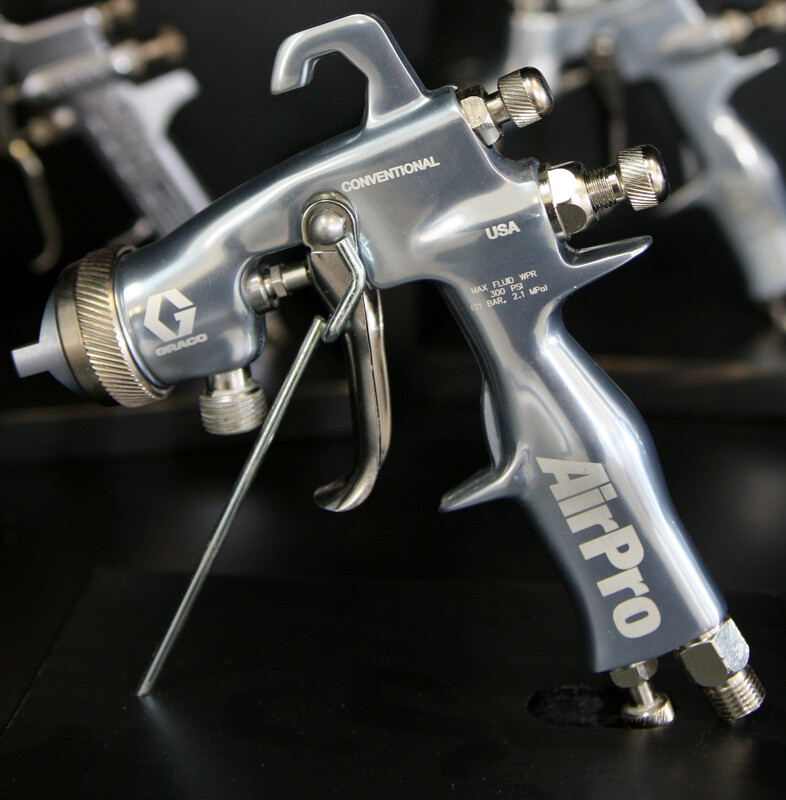 Paired with G15/G40 spray guns, the Merkur fine finish packages are designed to improve productivity, reduce costs, lower emissions and provide consistent, high quality finishes for all of your demanding applications. It offers low pulsation output and smooth pump changeover spray pattern. The easy to flush design allows for fast color changes and reduced solvent usage. Merkur offers a 300 series stainless steel pump construction provides long lasting durability. Designed to maximize efficiency and quality, while reducing operator fatigue. 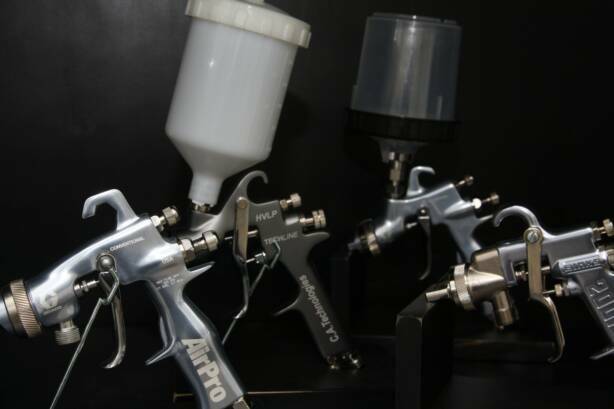 The AA Series give the sprayer the ability to significantly vary the spray pattern without changing the tip. This gun is designed to reduce overall cost of ownership and designed for a variety of solvent or water-based materials on wood and metal applications. Designed to deliver exceptional spraying performance and address you're environmental and operator concerns. The cutting edge and nozzle design optimize spray performance. Lightweight design, low trigger force and ergonomic handle provide maximum operator comfort. 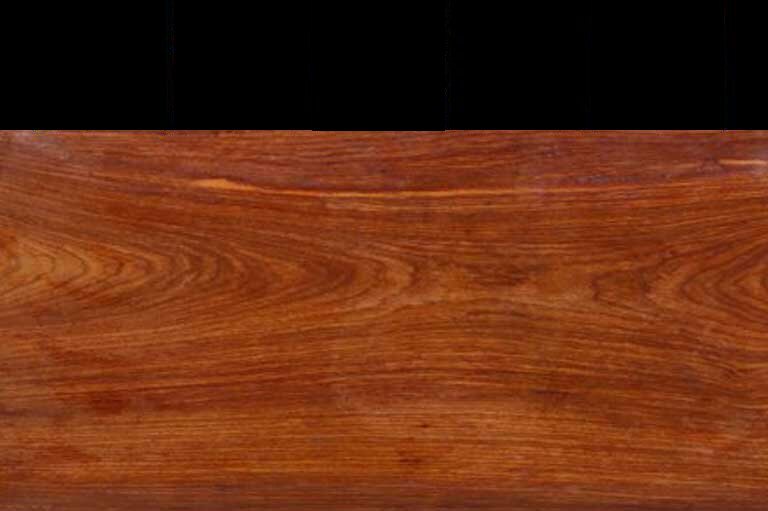 Available in HVLP, Compliant, and Conventional. Stainless steel components. Includes all the necessary tools for spray gun maintenance. Two kits to choose from, ultimate and HVLP. Please call for more information and other spray products that are offered.